“Home is where the heart is”. This oft-repeated phrase signals how our hearts are anchored to where we feel at home. 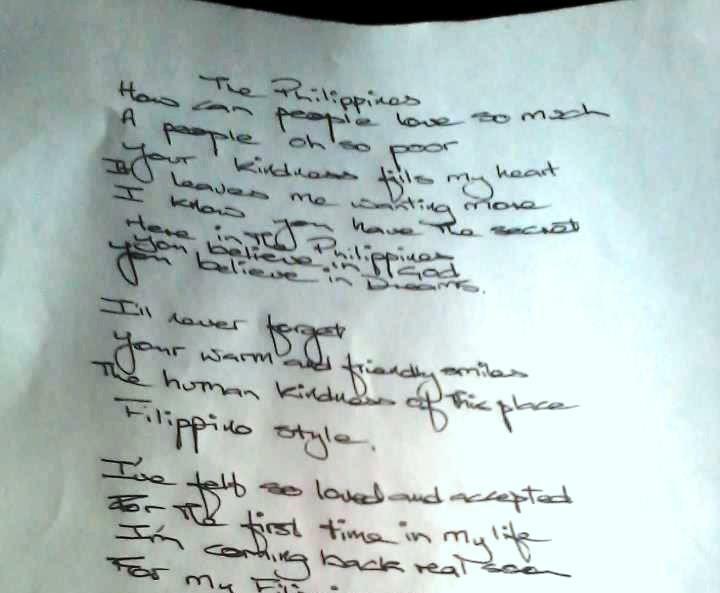 I carried this feeling and felt it gain momentum during the past two weeks as a participant on the recent Gawad Kalinga Australia (GKA) Study Tour. 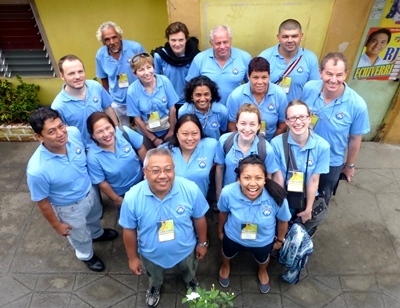 From 19 January to 1 February, I, along with 14 other participants travelled to the Philippines for the inaugural GKA Study Tour. We were an eclectic bunch: five GKA volunteers, four members of the NSW Aboriginal Land Council, three professionals from France, two Australian linguists, and one Aboriginal-Australian community leader. While we appeared to be a disparate bunch, the common thread linking us was GK. For the Australians, our hope is to implement GK models within the context of Australia, particularly for our indigenous communities. Here, the aim is to make Australia a home for all Australians, not just the mainstream. We travelled not simply to observe how GK builds partnerships and physical houses, but also to see how GK develops the nation as a “home”. So, if “home is where the heart is”, where does GK’s heart reside? Does it live in the eyes of a child who has benefited from a GK home and GK values? I remember our home-stay at GK Concepcion from 23-24 January. Each participant joined in Child and Youth Development (CYD) activities with SIBOL children. This involved being in charge of three to four children and helping them eat their merienda. Arnold, a four year old boy, was struggling to feed himself. So, I spooned his food into his mouth. Each time I did so, Arnold would look up at me with his eyes shining with happiness. During this time, I turned away to get something from my bag and out of the corner of my eye, I spied Arnold confidently feeding himself. When he caught my eye, he dropped his spoon and pretended that he couldn’t feed himself! I found out that Arnold’s mother worked in Manila and rarely sees her son. So the look of happiness in his eyes did not simply connote a hunger for food, but also hunger for a mother’s touch. Later that day, the Study Tour participants played games with older children. Through the gaggle of kids, Arnold emerged with a chair. He placed it next to me and motioned me to sit down. By caring for one another, we created a space where we both felt at home. We both felt like each other’s family. This sense of family extended beyond the two of us. I felt it when Frank, the organizer of the Dubbo Men’s Shed, made “johnny-cakes” for the beneficiaries at GK Concepcion. Using a combination of flour, baking soda, water and salt, Frank reached out to the community and treated them like family. This continued in Tarlac where we visited an Aeta community in GK Monicayo. The Aboriginal-Australians on our Study Tour formed a bond with the Aetas based on being indigenous people of their respective countries. When listening to Frank speak about his experience with the Aetas, I felt that the bond he shared was shaped by seeing Aetas as family. Through the Study Tour, I can feel GK’s heart. It pulses through every caring action. It beats through the hearts of those who serve. It is in the way people look at each other without judgment and with love. It is embedded in the fabric of how GK operates as a family, Walang Iwanan. From this, I can also see where GK Australia’s heart is. It resides in the same places where compassion is encouraged. It is activated in the dream of (re)building the Australian nation. And this is what I, and others, on the GKA Study Tour wish to reiterate: the road ahead of us will be difficult, but the key is to work together as a family for the betterment of the nation. Like a family, we will argue. It will be tense. It will be challenging. But I can envision that it will be worth it! Gawad Kalinga is about caring for the poor and treating them like family, and GK Australia hopes to explore how this model can apply to the disadvantaged communities in their territory. Just as it has done much to alleviate poverty and restore dignity in the Philippines, the GK template could prove to be effective in providing marginalized groups (particularly the Aboriginal and Torres Strait Islander communities) with a way to escape poverty and welfare dependence. For more information, click here. GK Mabuhay is a program that allows international volunteers to embark on a journey of caring and sharing in the Philippines. 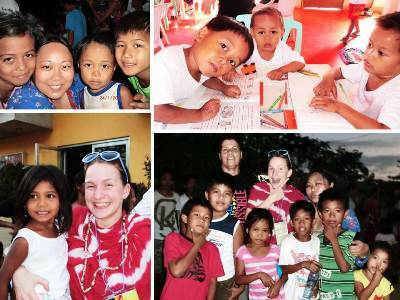 They get to experience the best of Filipino culture and hospitality by immersing in a GK community, and make memories that will last a lifetime as they volunteer for various GK programs and activities. Click HERE for more information about going on a volun-tour.